The increasing popularity of Norway’s famed Northern Lights has prompted Cruise Express to offer a new cruise tour in February, 2018. 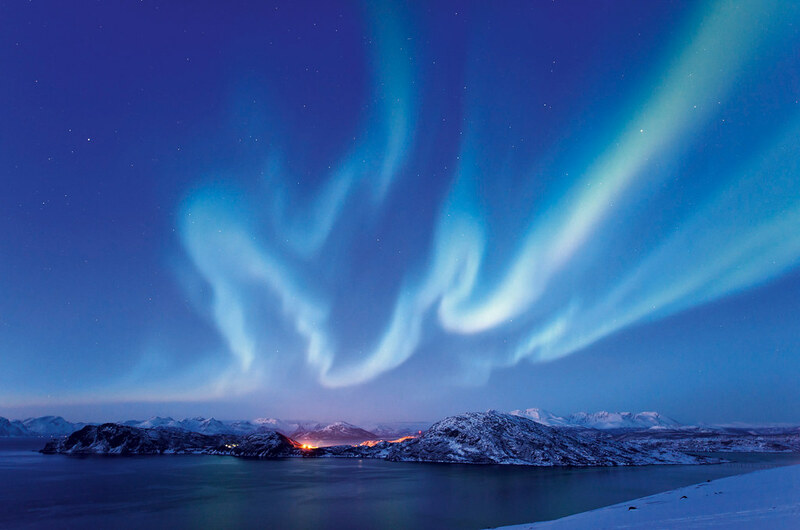 The new, 15-night ‘Journey to the Northern Lights’ fly, cruise and tour itinerary traces the fjord-studded coastline of Norway north above the Arctic Circle all the way to the Russian border. 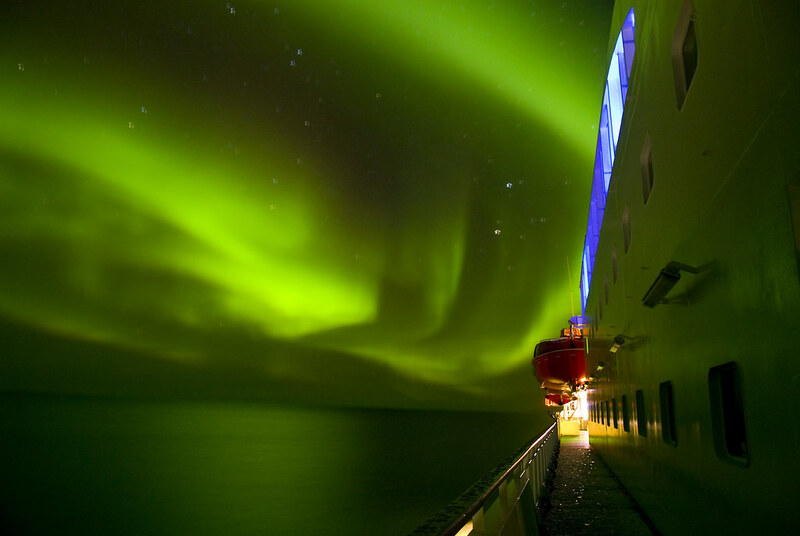 The cruise tour offers Australians a rare opportunity to witness the natural phenomenon of the Aurora Borealis – magical, multi-coloured swirls of light that illuminate Norway’s crisp, night sky in winter. The adventure begins on February 9, 2018, when travellers fly from Australia to Norway’s capital, Oslo, for a two-night stay, with a city tour that includes the Viking Ship Museum and Vigeland Sculpture Park with its 212 striking bronze and granite sculptures. Guests then ride Norway’s trains to the country’s famed fjord country for stays in Voss and Bergen and a ride on the panoramic Flåm Railway. Billed as one of the world’s most picturesque and steepest train rides, the Flåm train climbs from sea level to 863m-high mountain tops in just one hour, with the scenery including waterfalls, wild rivers, vast forests and 20 tunnels. A breathtaking cruise through two spectacular fjords – Nærøyfjord and Aurlandsfjord - near Voss is also included. In historic Bergen, guests will be guided on a walking tour along the harbour, flanked by multi-coloured buildings, and to flower and fish markets. From Bergen, the tour moves to sea for a six-night voyage aboard Hurtigruten’s 691-passenger ship, ms Kong Harald, named after the current king of Norway, which also provides a passenger, freight, mail and car service for isolated Norwegian towns only accessible by sea. The voyage features magnificent fjords, mighty glaciers and snow-clad mountains and visits to the enchanting Lofoten Islands and picturesque towns like: Tromsø, Trondheim and Ålesund. Renowned as one of the world’s most spectacular sea journeys, the Norwegian coastal voyage in winter offers the magical luminescence of pure-white mountains reflecting the low sun and the chance to see the awe-inspiring Northern Lights. After visiting Honningsvåg near North Cape – the northernmost point in Europe, 1000km north of the Arctic Circle - the cruise ends in the remote town of Kirkenes on the Russian border. Here guests will enjoy the once-in-a-lifetime thrill of staying at the SnowHotel, where the rooms are carved from ice, with reindeer fur used for cosy bedding. A thrilling dog sled ride through the forest and a rendezvous with local reindeer are also included. A flight back to Oslo for a final night’s accommodation completes the cruise tour. Including return flights from Sydney, Melbourne, Brisbane, Adelaide or Perth, the 15-night ‘Journey to the Northern Lights’ package is available from $8990 per person, twin-share, or from $10,490 for solo travellers, which represents a single supplement of just 17 per cent. Call Cruise Express on 1300 764 509 or visit www.cruiseexpress.com.au which includes a video of Hurtigruten’s winter cruises in Norway.